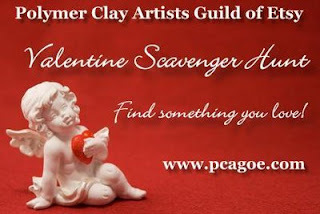 The members of PCAGOE, the Polymer Clay Artist Guild of Etsy, are sponsoring a Valentine Scavenger Hunt. To participate simply visit participating shops beginning February 6th 2009 and continuing until midnight EST on February 12, 2009, and find the hidden Valentine! When you find the Valentine in a shop, convo the seller through etsy with the URL of the listing where the image is hidden, or the transaction number for the Item. You may enter once per participating shop. That’s it! You must be a registered Etsy user to qualify, so if you have not already registered, please take a moment to do so, and you can join in our fun! Registering is fast and easy. 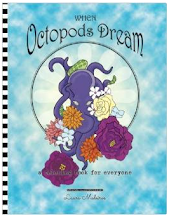 On February 14, 2009, the each seller will draw a winner at random using a random generator. Here is a list of the other member shops participating in the hunt. 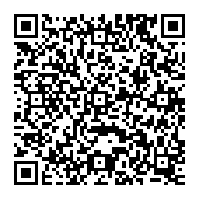 Every member is offering a different prize!